The Ottawa Baroque Consort is Ottawa's professional Baroque orchestra on period instruments. We specialise in the repertoire from the Baroque and Classical eras, with a fresh perspective based on historically informed performance practices. Founded in 2005, originally as a chamber ensemble, the Consort started performing as an orchestra in 2012, under the direction of Olivier Henchiri. Our concerts offer audiences a new look at the 17th and 18th centuries through unique and entertaining presentations such as actor-led theatrical programs, audience challenge concerts, and engaging concert talks. That and, of course, fantastic live Baroque music! This concert format, combining music and theatre, recaptures the elegance and excitment of the Baroque through the adventures of a historical character, and offers you a glimpse into the world where Baroque music was performed for the first time. Do you know your Bach from your Vivaldi? This interactive concert format will challenge you to listen to Baroque music in ways that you may not have thought possible - first with lively commentary and musical examples, and then with a final performance. A strong advocate for early music in Ottawa for over a decade, Olivier founded and directs the Ottawa Baroque Consort in its concert series on period instruments. He regularly collaborates with local choirs. 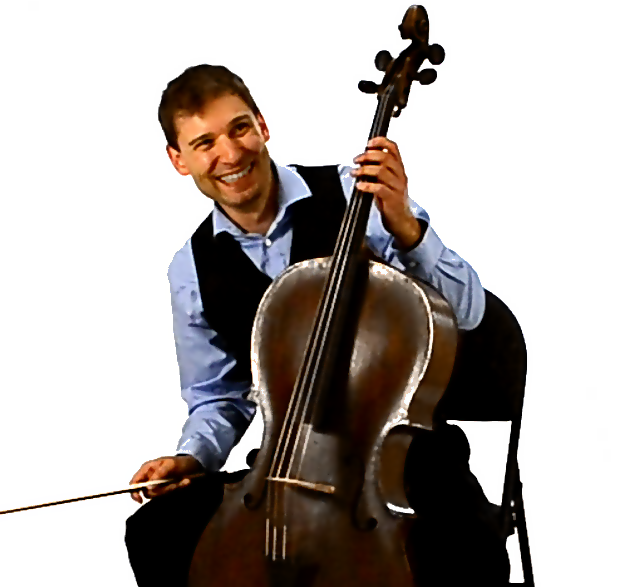 Olivier Henchiri studied cello with Anne Contant at the Conservatory of Music in Gatineau, where he completed his Concours and was awarded "le prix en violoncelle" and the Quebec Lieutenant Governor?s Award for excellence. He later received scholarships to the Tafelmusik Baroque Summer Institute, where he studied Baroque cello with Christina Mahler. When performing on period instruments, Olivier plays on a German Baroque cello dated circa 1725, generously loaned by the Paul Hahn Fund. Olivier has performed with Toronto?s Aradia Ensemble, Voicebox Opera in Concert, Elixir Baroque, Les plaisirs du clavecin in Gatineau, the Ottawa Symphony Orchestra, l'Orchestre des concerts symphoniques de Gatineau, the Ottawa Jazz Orchestra and in many ensembles at the Ottawa Chamber Music Festival. He has collaborated with the Seventeen Voyces, Caelis Academy Ensemble and the Cantata Singers of Ottawa in productions of Baroque choral works. Previously, he performed on cruise ships, playing anything from Mozart quartets to Broadway tunes to other stuff he'd rather forget. Olivier enjoys sharing his knowledge of Baroque performance practice and promoting appreciation of this unique style. He has given numerous concert talks on a variety of topics in baroque music, talkbacks with the Odyssey Theatre, presentations for LINR and REA, and he regularly offers masterclasses and workshops at the music conservatory in Gatineau. A jazz enthusiast, Olivier also has an extensive background in vintage swing dances such as the lindy hop, partnered charleston, balboa and blues. He holds over a dozen competition awards in Canada and the USA.